Garlic Chives – As I write this my garlic chives are in full bloom in the south garden. The large white hemispheres have a garlic flavor as you’d expect. Just pull apart the blossoms and add them to your salad. 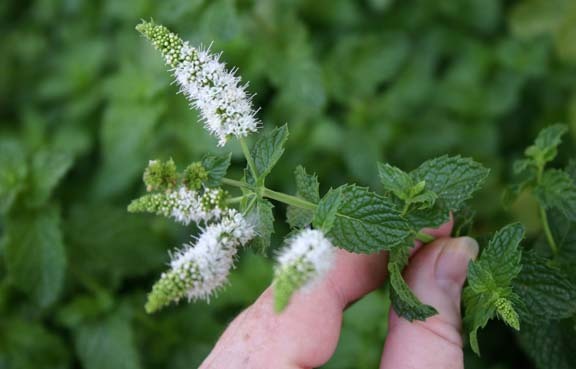 Mints – Several mints will bloom in the Southwest once the temperatures drop to a decent range. My ginger mint and spearmint are showing their colors this month. This spearmint is taking the advantage of cooler fall weather to produce these fuzzy edible blossoms. 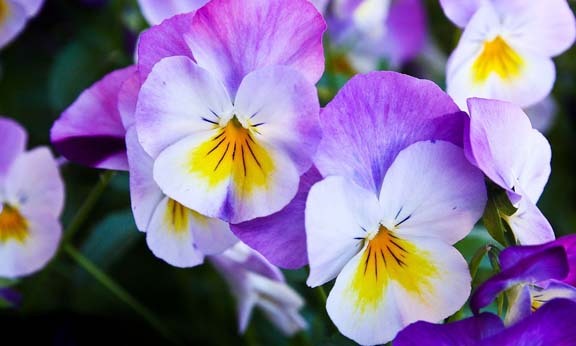 Pansies – Surprise! These popular fall flowers are edible. The flavor is a slightly sweet wintergreen. Try them in a dish made with rotini pasta, chili peppers, and pansy petals. Chrysanthemums – Another fall flower favorite is the chrysanthemum. Originating in China, this flower was sometimes used in teas. If you decide to try it, be sure to remove the bitter white base of the flower petals. Right now you’ll find chrysanthemums on sale everywhere. This classic fall flower can be used in tea infusions. 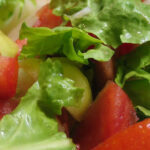 Roses – If you are an herb enthusiast you know that roses are edible. Before vanilla became popular, rose water and rose oil was used to flavor cakes and other confections, to say nothing of beverages. 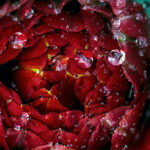 Carnations – If you still have these flowers growing in your garden, take time to taste their spicy flavor. In centuries past they were known as clove pinks for the clove-like taste. 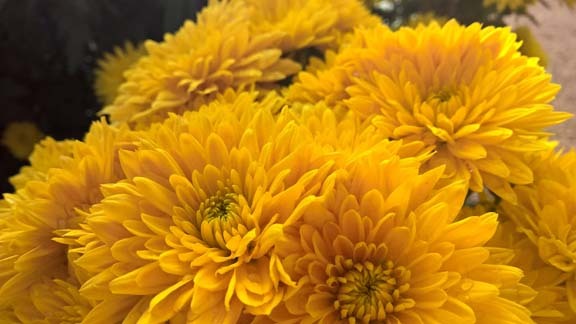 As with chrysanthemums, remove the bitter white base of the petal before eating them. This is just a hint of the dozens of edible flowers available throughout the garden year. If you’d like to learn more, I recommend Edible Flowers: From Garden to Palate, by Cathy Wilkinson Barash. This common fall bedding plant has edible flowers with a slight wintergreen flavor.